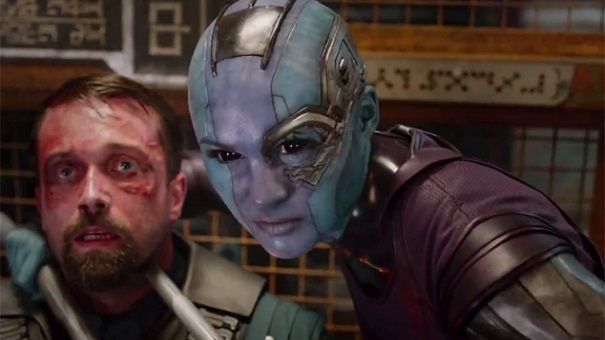 In many ways, Guardians of the Galaxy is the ultimate test of Marvel’s seemingly unstoppable winning streak. A bizarre story of space crime, death-worshipping aliens and talking raccoons, based on a reboot of a comic with almost zero public brand recognition – even for a studio with this kind of momentum, it has to represent a serious risk. There’s a sense that if they can pull this one off, they can do anything. They have pulled it off, of course. It’s the best Marvel movie yet, better even than the superb The Avengers, and one of the most intelligently-made summer blockbusters in years. The plot is simple enough – a rag-tag group of intergalactic outlaws pursue a valuable treasure, but become unlikely heroes when their haul turns out to be more than it seems. 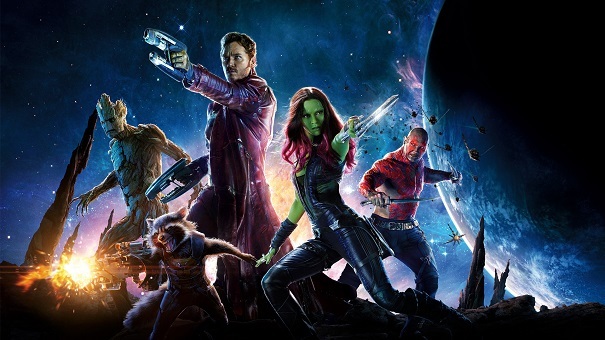 What really makes the story shine is its characters, including dashing rogue Peter Quill aka Star-Lord (Chris Pratt), no-nonsense assassin Gamora (Zoe Saldana) and bloodthirsty warrior Drax the Destroyer (Dave Batista). They’re perfect underdogs, enjoyably rough-around-the-edges compared to the likes of Captain America and Iron Man, and written with fantastic wit and warmth. Character building is made to look effortless, with every team member’s personal backstory and motivations woven neatly into the back-and-forth dialogue. The performances too are excellent, with Pratt especially displaying the easy charisma of a natural leading man, and even former pro-wrestler Batista showing excellent comic timing. 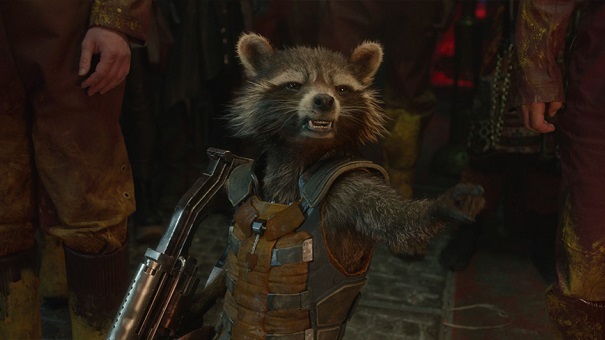 The real stand-out, shockingly, is talking raccoon bounty-hunter Rocket (Bradley Cooper). It would’ve been all too easy for the furry CGI creation to be annoying comic relief, or worse a Jar Jar-esque cartoon character made to appeal to kids. Instead, he’s the most interesting and complex character of the lot, a lonely soul whose gruff exterior belies a sensitive heart. 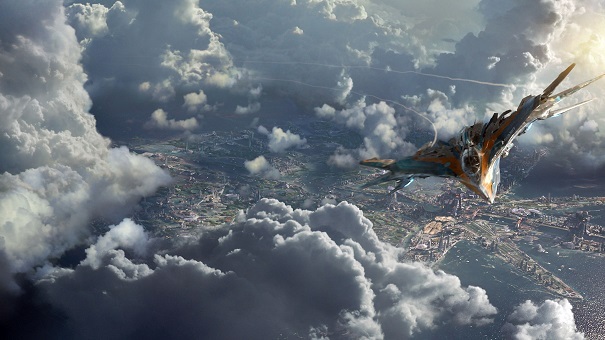 Guardians’ setting too is hugely charming, well-realised without the film ever resorting to dry exposition. In many ways it feels like a throwback – aliens are more often than not Star Trek-style humans-but-with-green-skin, and the design of the space ships and technology is knowingly retro. Even the music plays into it – brilliantly, Quill’s beloved childhood walkman is used as a conceit to fill the soundtrack with 70s hits. It’s the perfect back-drop for some stunning set-pieces and action sequences. The film’s real flaw is its villains. They’re suitably sinister and intimidating, but they’re sorely underdeveloped. Brooding warlord Ronan the Accuser (Lee Pace) seems to be motivated entirely by a historical war that the audience is never told anything about. His boss Thanos (Josh Brolin) receives so little screen time as to be more of a nod to comic book fans than a serving antagonist. At times even the main characters seem confused by what the bad guys actually want – one minute their plan is the destruction of only one planet, the next the entire galaxy is at stake. It’s unfortunate but at the same time, in a colourful comic book story like this, it’s easy to forgive a bit of over-generic evil, especially when the film gets so much else right. Guardians of the Galaxy is pure entertainment, striking a perfect balance between its action, humour and drama, and I can’t wait for the already-announced 2017 sequel.